Go Camping , leading family camping retailer since 1988, introduces the Coleman Roadtrip Barbeques. The Perfectflow control system in these barbeques provides consistent power output throughout the life of the propane cylinders. The powerful 20,000 BTUs enable hotter, faster cooking, especially in cold weather while the versatile, removable "Mix & Match" non-stick surfaces allow these barbeques to be used as grills, griddles or stoves. 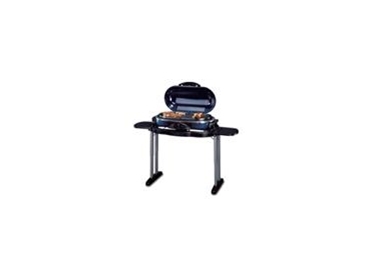 Collapsible, portable grill for all outdoor entertaining, camping, picnics, sports events etc. Grease management system with easy to clean, slide out grease tray.